Ontworpen voor gebruik met high-performance D/A converters, de Aurender N10 is de enige Music Player die on-the-fly precisie DSD naar PCM conversie ondersteund. Met 4 TB (2TBx2) of 8TB (4TBx2) interne harde schijven en een 240 GB solid-state drive cache voor het afspelen, is de N10 is de perfecte oplossing voor zelfs de meest uitgebreide hoge resolutie muziekcollecties. 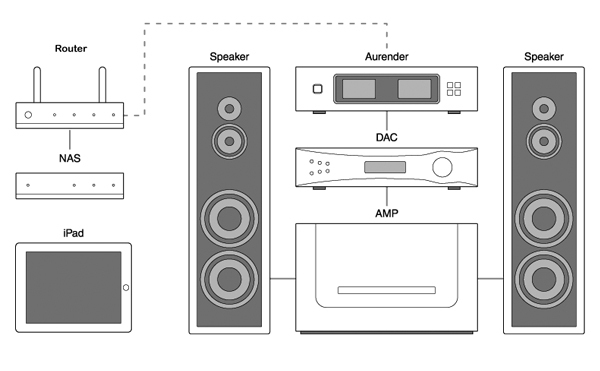 If you already have NAS set-up, the Aurender N10 is able to play music stored on NAS devices, AMM(Aurender Media Manager) software is available for Mac(OS X 10.9 or later) now. Windows version will be available later. You can run AMM software on your platform of choice, please specify the location of your content on NAS then it will automatically find the Aurender in you local network and make a combining music database. 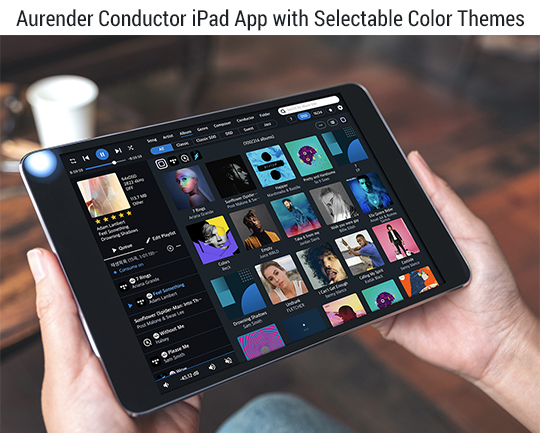 It's transparent to the user, so once you run AMM , you can select the music with all the meta-data using the Aurender Conductor App without the knowledge of the location of your music files.